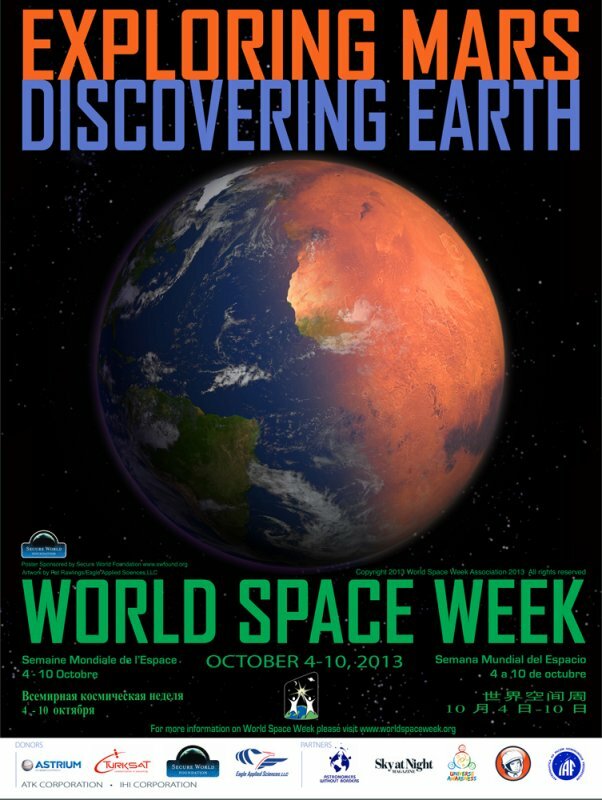 In the week of 4 - 10 October 2013 the fifteenth global celebration of astronautics and space exploration World Space Week is going to take place. Czech Space Office that coordinates its activities in Czech Republic, invites all the organizations which are dealing with popularization of astronautics for active participation. World Space Week is organized by the United Nations since 1999 as a reminder of two important milestones in the history of astronautics: launch of the first artificial satellite Sputnik-1 (4th October 1957) and The signing of Treaty on Principles Governing the Activites of States in the Exploration and Peaceful Uses of Outer Space (10th October 1967). Czech Republic has participated in the event since 2002, when the Czech Space Office had started to coordinate national activities. In the same year, the Czech Republic was proclaimed as the most active of the new participating countries and in 2008 the efforts of our organizers were crowned by rating CR first in the number of programs carried out among more than fifty countries. A significant appreciation of the work of Czech popularizers of astronautics was the inclusion of Czech student Veronica Šimová to an international crew of nine members, which in October 2007 (the 50th anniversary of the beginning of the space age of mankind) tried simulated weightlessness during a parabolic flight in a specially modified plane Zero-G . In the fall of 2011, a high school student from Tábor Stanislav Fořt also tried simulated weightlessness as a worldwide winner of the incentive programme WSW Youth Inspiration Program 2011. The activities of World Space Week in Czech Republic involve each year dozens of observatories, schools, clubs and individuals. Czech Space Office informs about all these events and then compiles the summary report for the WSW organizer - U.S. non-profit organization Spaceweek International Association of Houston, which issues its final report to the United Nations Office in Vienna. inform the public about the benefits of the space research. encourage greater use of space for sustainable economic development. demonstrate public support of space programs. lead the children and youth to knowledge of space. encourage institutions in their involvement in space programmes. control international cooperation in space research and education. 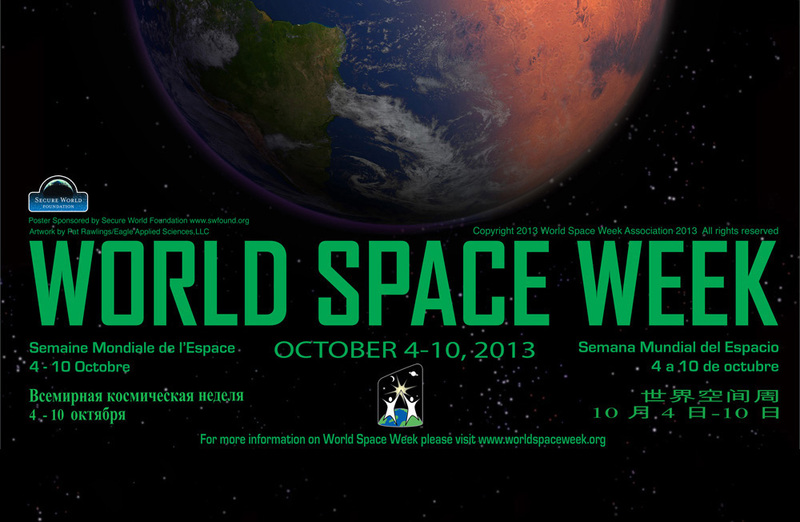 We believe this year, there is going to be plenty of enthusiastic popularizers of astronautics and space exploration who will participate in the World Space Week and we invite all interested to send the information about their upcoming events. The outline of WSW will include all events organized or initiated from 1st to 15th October 2013. In case you are organising your own event for World Space Week or you have further questions, please contact Milan Halousek.